Lake City Heat Treating specializes in Vacuum Heat Treating of Stainless Steels, Cobalt and Nickel Alloys, and Vacuum Heat Treatable Steels. LCHT also provides Tempering, Cryogenic, and Hot Isostatic Pressing (HIP) services. 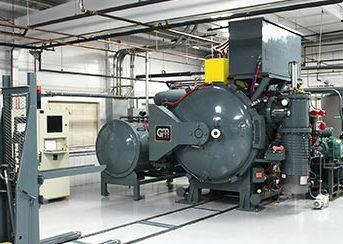 In March of 1983 two of our founders traveled to Pennsylvania to purchase a vacuum furnace. This vacuum furnace is still hard at work today and has surpassed 44,000 loads processed. Our growth has brought us to operate seven vacuum furnaces, two Hot Isostatic Presses and three air furnaces. In 1995 our capabilities and customer service brought emerging interest from the aerospace industry. Today we are proud to say that we are Nadcap Accredited. This approval is required by many aerospace industry manufacturers. It reflects the quality and superior performance delivered by Lake City Heat Treating. Lake City Heat Treating Corp.
Take a look at our informative LCHT brochure to learn more about the quality products and services we offer.